Software designed to automatically create mobile optimized websites for you, although it really doesn’t do a good job. My Mobile Money Pages is just another over-hyped and under-preforming product that promotes itself as being an amazing money making solution. In reality, all My Mobile Money Pages is promoting is poor quality pre-made websites that happen to have a degree of mobile optimization. Not only does the product contain little training, but there are also few ways to get traffic to the sites, and the sites themselves are not even worth the bother. Be careful with this product. My Mobile Money Pages uses a lot of marketing tricks and the sales pitch is designed to make you buy it. The product simply doesn’t live up to its claims and is little more than a repackaged version of many products that are already out there. It’s actually hard to find something that I liked about this product. If anything, I’d say that I like the fact that the software actually works to create the webpage, but honestly, this isn’t saying much as the webpage it creates isn’t that good. The sales video alone should tell you that this is just another hyped product. In fact, the narrator in the video keeps talking about how amazing ‘mobile money’ pages are, yet consistently refuses to define what these are. Actually, it isn’t really that surprising, as these types of pages are simply websites optimized for mobile devices – which isn’t even that hard to do yourself. He even makes a big deal out of the way that companies pay to have you promote their site. This isn’t news, and it isn’t unique to My Mobile Money Pages. This approach is the entire basis of affiliate marketing, which is what I do and what thousands of other people do also. One of my major issues with My Mobile Money Pages is that it really isn’t that special or unique. I’ll agree, there is a lot of potential in the mobile market, but targeting this market alone seems like a waste of effort. Realistically, if you want to target mobile users, develop a website that is designed for smaller screens. Many WordPress themes are specifically designed for this, so it isn’t even that much work. Basically, what My Mobile Money Pages does is create a website for you and ‘intercepts’ keywords for you to use. There are many other products that do the same thing without the mobile spin on it. It simply isn’t an approach that works. First, the website that you end up with really isn’t that good and it isn’t usable as is. Instead, you have to modify it, add content and make it unique. It really is just as much work to do that as it would be to start your own site from the very start. To make matters worse, My Mobile Money Pages creates your site using content scraped from other sites. This means that you end up with content that is duplicated, making it basically impossible to rank for your site without rewriting all of the content entirely. It’s also worth noting that this product offers minimal training, which is awful as it is directly targeted at new users.Setting up a website of your own can be challenging the first time you do it, and not having any training just makes things ten times more difficult. There is nothing unusual about the page whatsoever and I fail to see why anyone would choose to even visit the site, let alone buy anything off it. It’s also a really bad niche and product choice. 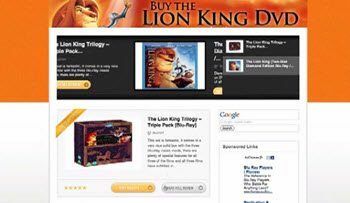 You would be hard pressed to make any money from a site selling DVDs to the Lion King. After all, why would anyone bother to visit a site to find somewhere to buy the DVD when they could just go to Walmart or directly to Amazon? Honestly, I wasn’t particularly impressed with most of the types of websites that My Mobile Money Pages offered and I doubt they would earn money. This product offers almost no training in getting traffic to your site, and the approach that they suggest you use is risky at best. The concept is that you spam Facebook and other social media sites with links to your page to try and get them to go there. This is an approach that doesn’t work, and it will only serve to annoy the people on your social networks. Additionally, people who browse social media aren’t exactly planning to buy something. Many of them don’t even have the money to buy whatever it is you are promoting. The other real source of traffic that My Mobile Money Pages offers is by using the keywords the program provides. Now, I’m not exactly sure how the program finds the keywords it offers, but I wouldn’t trust it. If you want to rank for content, you really want to be researching the keywords yourself. I guarantee that you can find better keywords than any algorithm can. I just want to note that there are a lot of positive reviews for this product. Most of them claim that the product is wonderful, but don’t go into any detail why. As you may already know, those reviewers are affiliates of the product, and they make money by getting you to buy it. 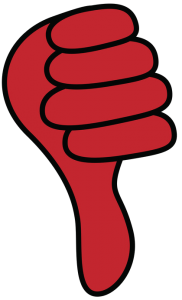 Now, some affiliate marketers do review products honestly, but most do not. When you are looking at reviews for this product, or any other one, the trick is to look for reviews that present a balanced view of the product, and don’t just repeat the same hype that the sales pitch for the product contained. This product is squarely targeted at new internet marketers, and anyone else would not go near it. Personally, I don’t recommend that anyone uses this product, because it really isn’t helpful and is a waste of time and money. Tapping into the mobile market is a good concept, but you can do this by simply creating a normal website and using a theme that is specifically designed for mobile devices. In fact, nowadays, most WordPress themes work just as well on mobile devices as on computers. Personally, I recommend starting with the free Siterubix service that Wealthy Affiliate offers. This also lets you create a site, but gives you complete control over that site and lets you customize it and design it to meet your needs. Later on you can transfer the content from the free site to a real .com domain name that you actually own. This makes you an official affiliate website business owner, and WA can also teach you how to start making sales from this type of website! Hello Nathaniell: I wish your review about My Mobile Money Pages had been up in 2012. I was a Newbie back then, and I was convinced by all the hype that this would be the site for me. Not only did I buy the original version for $47 at the time, I also purchased their Premium Edition for an additional $97. I hope that all who read your review will take heed, you are VERY CORRECT; However, There is just one thing that I will add, the software may not work. Here is what I experienced. After having used the software a few times I needed customer service as it no longer worked and was no longer building any more websites for me. I contacted Customer Service several times asking for help, then begging for help, and each time I got the same thing. An automated response telling me that someone from their suppot team would get in touch with me. They never did, and a company is only as good as thier customer service is. It is now 2015. I am still able to access the members area, The software still does not work, and I am still getting the same automated response. To all who can read this, avoid “My Mobile Money Pages” as though it were a disease.